Technically not a sword, I know. But still a nice piece. 15 Layers of hand forged damascus Aogami "blue steel". Hope you like it. 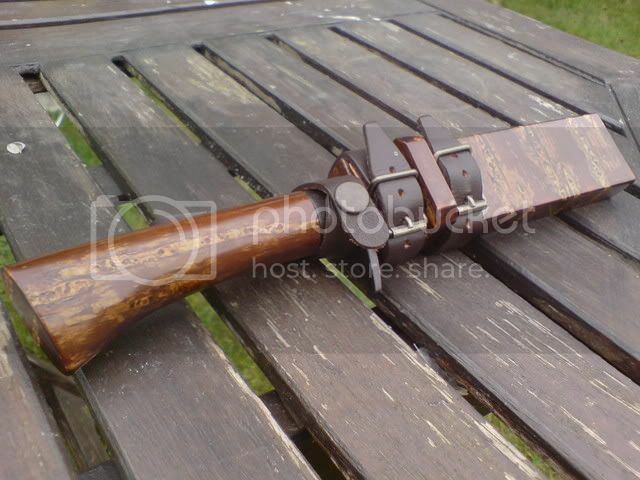 I've also got the smaller Matagi hunter, will upload pictures in the near future. 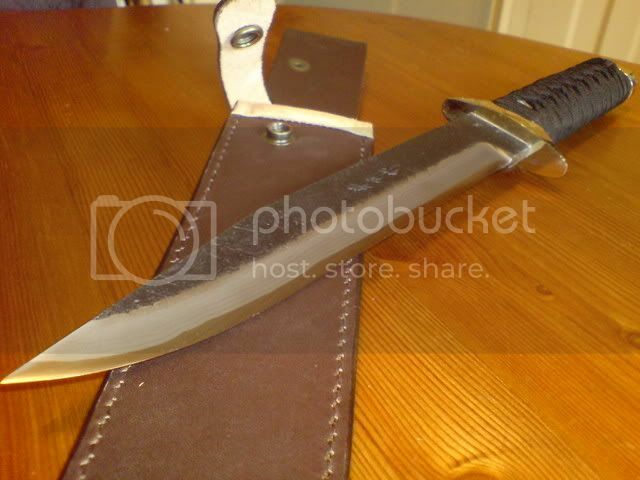 This is the Matagi Hunter, same steel type, but with cherrywood skin wrapped handle and traditional "box" sheath. casual_thinker wrote: Technically not a sword, I know. But still a nice piece. 15 Layers of hand forged damascus Aogami "blue steel". Hope you like it. 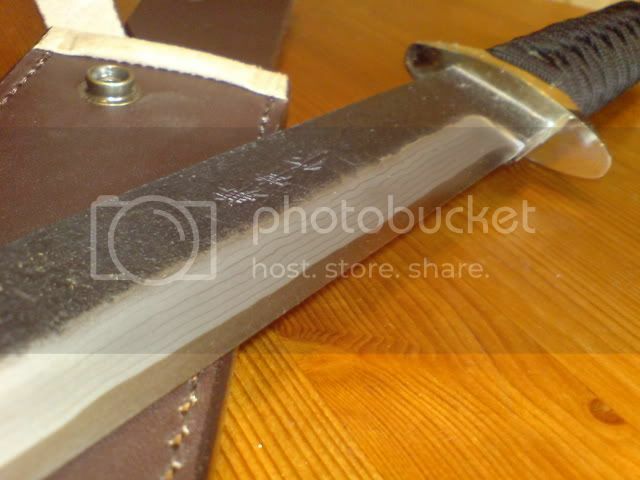 Don't worry buddy, Your on a blade forum most thing sharp & pointy will do!!! those two blades are beautiful !!!!!!!!! i have the smaller Bamboo by him Bob-o gave me !! 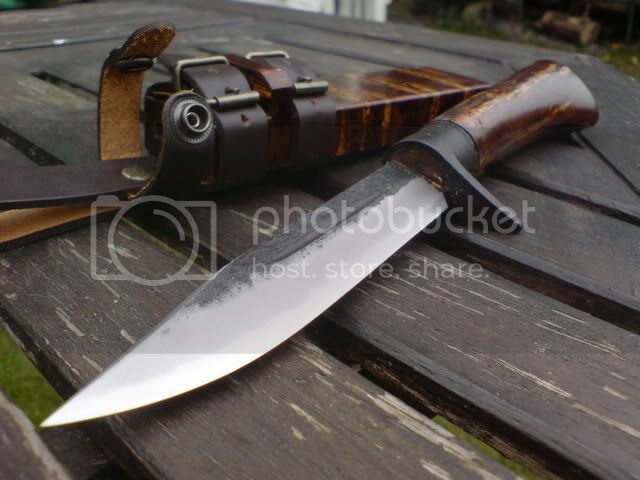 I'm think I've seen a pic of the one that goose got from bobO but it was quite a while ago now, lovely knife. Very nice blades, I must say. By the way, what pistol is that? And is that a bore finder attached? Nice gat there bob-o! how's that muzzle brake working for ya? i bought one for my 1911 but have yet to install it. Very nice, can't say I've ever seen those pistols, by the way are the kanetsune knifes available in the UK?